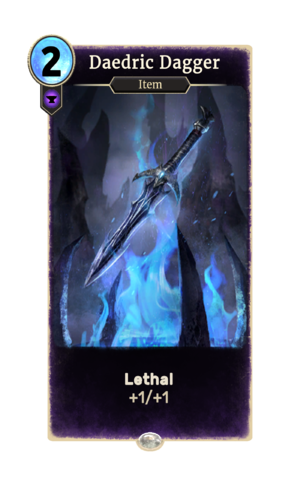 Daedric Dagger is a common Endurance item card. It is part of the Core Set. In addition to the card's availability in the Core Set, two copies are included in the Black Marsh Smugglers deck. Daedric weapons have existed since Daggerfall.